Due to the small size of the Allen Creek condo complex, units rarely become available for sale or rent. There are currently 0 units listed and nothing has sold in the past 2 years. In 2011, 1 unit sold and 1 unit was rented out. 1860 W. Liberty, Ann Arbor. $1275/month. 1144 sq. ft. with 3 bedrooms and 2.1 baths. Overall, Ann Arbor Condo sales and prices have continued to climb over the past 2 years as the real estate market improves. To learn more about Allen Creek, or the nearby Ridgewood, Summerfield Glen, or Liberty Pointe, contact the real estate specialists with The Bouma Group today at 734-761-3060 or email info@bouma.com. In the past 2 years, there have been no sales at Allen Creek Condos. There are currently no units for sale, but there is one condo available for rent. It has 3 bedrooms, 2.5 bath, 1175 square feet and is listed for $1375/month. The market is constantly changing and values are starting to stabilize in certain areas. Check back here for regular market updates and Allen Creek condominium information. 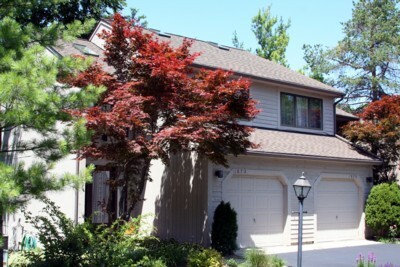 For instant active and sold listing data, be sure to visit our Ann Arbor Condo Hotline. Wondering what your Ann Arbor condo is worth? Thinking of purchasing? Let us put our expertise to work for you. Call us at 734-761-3060 or info@bouma.com today! Allen Creek is the site of the first settlement in Ann Arbor, and it still runs through the city’s west side. The creek was named for Ann Arbor’s co-founder, John Allen, in 1824. The main branch of Allen Creek runs northward roughly parallel to the Ann Arbor Railroad tracks, starting at Pioneer High and flowing into the Huron River just below Argo Dam. Near the creek lies Allen Creek Condominiums. Built in 1988, the cozy complex features two decks, walk-out lower levels, fireplaces, and garage parking. In 1846, William Maynard laid out the first section of the Old West Side, from First to Fourth Streets. When Ann Arbor began developing in the 1850s, many businesses were located along Allen Creek. Four tanneries on the creek used its water to soak cowhides, and pelts of wild animals trapped in the surrounding forests. A foundry (located at the current site of the Y on Huron Street) used the creek for its sand casting. And two breweries used the creek water to cool their beer. Also near the Allen Creek Condominiums is Eberwhite Woods, a 29-acre forest situated between Liberty, Dartmoor, Soule, and Arbordale streets. The woods is owned by the Ann Arbor Public Schools, and is open to the public. The woods are a unique environment, a remnant of a native oak-hickory forest which has never been clear-cut. A wide variety of wildflowers, including some state-threatened species such as goldenseal, can be found in the woods.